The INTP personality type is the most independent and philosophical of the 16 types. INTPs have a deep need for personal autonomy and independence of thought. While they may not discover their intellectual side quite as early as an INTJ might, once their auxiliary function, Extraverted Intuition (Ne), has been fully awakened, they display an insatiable appetite for ideation and theorizing. Many enjoy exploring unifying theories and metaphysical truths that explain the underlying nature of things. Toward this end, they may devour stacks of books on philosophy, religion, psychology, evolutionary theory, and the like. When vacationing from their philosophical investigations, the INTP, like their ENTP counterparts, can be quirky, witty, and engaging. Since INTPs extravert Intuition (Ne) and Feeling (Fe), they can have a certain charm, approachability, and congeniality about them. When discussing a topic that interests them, they can be stimulating conversationalists, as their ever active minds can easily connect one topic to another, paving the way for a multifaceted and broad-ranging dialogue. If disinterested however, such as when forced to endure protracted small talk, they will quickly zone out or find a way of redirecting the conversation. Despite appearing outwardly genuine and personable, INTPs are more interested in discussing ideas than the mundane details of people’s lives. They enjoy discovering what makes people tick—their motivations, interests, patterns, and propensities. This allows INTPs to further hone and refine their theories (Ti-Ne) of human nature (Fe). Like other introverts, INTPs can be anxious and self-conscious characters. It is not uncommon for them to display a handful of nervous habits, or at least some sign that they are not at ease. They generally avoid direct eye contact, as though the gaze of their interlocutor may somehow harm them or render them incapable of thinking or communicating. INTPs often have enough insecurity about the discombobulated nature of their Ne expressions in the first place. Feeling that someone else is watching or critiquing them only makes it worse. Like the INFP, INTPs can be slow to disclose the contents of their inner world. As strange as it may seem to other types, INTPs often conceal some of their most dominant personality features, namely, their highly cerebral and rational side. It may only be a select few who are granted full access to this side of the INTP. Others may only encounter INTPs’ inner world through encounters with their work, such as by reading something they have written. This may explain why many INTPs often take interest in writing, which provides an excellent forum for expressing themselves more fully and precisely. Because of their reluctance to freely display the rational dimension of their personality, as well as the scattered nature of their Ne expressions, INTPs often feel their true level of knowledge and competence goes unnoticed by others. This is especially common in the workplace, where their lack of enthusiasm for organizational life, combined with their quirky outward demeanor, may be mistaken for incompetence. As discussed in our post on INTP careers, they can struggle to find satisfying jobs within the system and are often happier functioning as freelancers or entrepreneurs. When it comes to relationships, INTPs can also have a rough go of things (see our INTP relationships page for more on this). While they can use their Ne and Fe to attract potential mates, their tug-of-war between Ti and Fe, between their independence (Ti) and relationships (Fe), can inspire myriad problems. This will be elaborated later in this profile in our section on Fe. While we will soon discuss each of the above functions in greater depth, for now, we will turn our attention to another feature of INTPs’ personality, their type development. As is true for other types, their type development consists of three primary phases. This phase is characterized by the emergence and differentiation of INTPs’ dominant function, Introverted Thinking (Ti). Early in life, INTPs often employ their Ti to focus on one or two pursuits. They may, for instance, use it to master video games, program computers, get good grades, or perfect their 5 K time. Since Ti is a Judging function, INTPs often take themselves and their lives rather seriously. Even from a young age, they can be self-starters, striving for excellence in whatever captures their interests. Once their dominant Ti reaches a certain level of consciousness and differentiation, INTPs’ inferior function, Extraverted Feeling (Fe), enters the picture and begins to play a more influential role. Phase II INTPs also show increasing use and development of their auxiliary function, Extraverted Intuition (Ne). During this phase, INTPs often develop a stronger interest in intellectual and philosophical endeavors, poised to see and understand “the big picture.” Developing their Ne involves an opening of prior judgments to allow an influx of new information. But since Ne is extraverted and expansive, INTPs must explore a breadth of ideas before they feel confident about who they are and what they believe. Thus, Phase II INTPs may find it easier to identify what they don’t believe than what they do believe. Some may struggle with nihilism or cynicism, worried that they may never find absolute truth. It can therefore take INTPs a great deal of time, even decades, to discern what they believe about the world, themselves, and their place in the world. If all goes well and they are fortunate enough to enter Phase III, INTPs experience greater balance between their dominant Ti and inferior Fe functions. They discover that growth and integration takes place rather naturally as they learn to effectively and consistently employ their type’s strengths (i.e., their Ti and Ne). As enumerated in both of my INTP books, Introverted Thinking involves the application of logic and reason for the sake of understanding a given situation, system, or problem. INTPs use Ti to bring structure and order to their inner world, granting them a strong sense of inner control. Inwardly, INTPs are highly self-disciplined, working to effectively manage their thoughts and their lives. The disciplined nature of their Ti compels INTPs to frame many things as a goal or challenge. These challenges may be physical (e.g., trying to achieve an ideal state of health or fitness), intellectual, practical, psychoemotional (e.g., becoming self-actualized), or later in their development, interpersonal (e.g., “perfecting” a relationship or becoming a skilled lover). In order to succeed in these personal challenges, INTPs are apt to impose rules on themselves. However, because of the wayward influence of their auxiliary Ne, they commonly end up breaking or sabotaging them. INTPs often find it easier to identify inconsistencies or logical shortcomings—to assert what is not true—than to identify and confidently assert what is true. They can quickly locate inconsistencies or logical shortcomings in a given theory or argument. They excel when it comes to identifying exceptions or imagining scenarios in which the proposed explanation could breakdown. Due to their sensitivity to theoretical exceptions, they can be quick to throw theories and start from scratch. INTJs, by contrast, seem less deterred by ostensible exceptions, perhaps feeling that they will eventually be explained or otherwise rectified. When functioning constructively, INTPs, like INFPs, often employ a trial-and-error sort of approach to building their theories and ideas. INTPs start with a given (Ti) and then use their auxiliary Ne to explore various connections and possibilities. They also integrate past experiences and acquired knowledge through their tertiary Si. It is usually only after years of toying with ideas that something resembling a systematic and coherent theory may start to emerge. To learn more about Ti, see this post. INTPs use Extraverted Intuition (Ne) as their auxiliary function. Ne can function either perceptively or expressively. The verbal expression of Ne amounts to something like “brainstorming aloud.” When orating, INTPs may not always seem to “have a point” as they haphazardly drift from one idea to the next. Even ideas that seem inwardly logical and sensible INTPs may suddenly sound incoherent when they attempt to convey them through their Ne. In its receptive role, Ne prompts INTPs to gather information. Ne does not merely gather sensory information as Se does. Rather, it goes beyond or looks behind sense data, allowing INTPs to discern otherwise hidden patterns, possibilities, and potentials. Their Ne is constantly scanning for relationships or patterns within a pool of facts, ideas or experiences. INTPs commonly use this receptive side of their Ne in activities such as reading, researching, and conversation. They enjoy asking questions that allow them to gain insight or knowledge from others, making INTPs good facilitators of conversation. INTPs may also use their Ne to sniff out intriguing possibilities. They commonly enjoy and assume the role of wanderer or seeker, rarely knowing in advance exactly what they are seeking. Ne also confers an open-mindedness, helping INTPs see truth on both sides of an issue without forming unwarranted judgments or premature conclusions. More specifically, their Ne can be seen as contributing to their openness to alternative or Bohemian lifestyles. INTPs are those most likely to suddenly become vegetarians, join a commune, or decide to live out of the back of a van. They are drawn to the idea and challenges of an unconventional lifestyle. Like other NPs, INTPs often have a love-hate relationship with their Ne. They love the fact that it helps them remain open-minded and grasp the bigger picture. But living with Ne also has its challenges. For one, it can make it difficult for INTPs to arrive at firm conclusions or make important decisions. It often seems that at the very moment they are feeling good about a given conclusion or decision, their Ne steps in and causes them to start doubting it again. This has obvious implications for INTPs who are trying to find their niche in the world. This can leave them feeling discouraged and restless, worried that they may never find what they are looking for. They may feel frustrated by their seeming lack of progress toward anything substantial. The fact is that INTPs desperately want to produce something of lasting worth or value, but they also want to ensure they get it right. They don’t want to leave any stone unturned before arriving at a conclusion. While INTPs typically enjoy this quest for truth, there comes a point when they begin to feel the pressures of life impinging on them. Questions about careers and relationships loom large as they enter their late twenties and thirties. This can be frustrating to INTPs as they feel like life is requiring them to make decisions long before they are ready. As is true of all IN types, they feel that life would be far better if they weren’t forced to consider practical concerns. Unlike Ne (or Se), INTPs’ tertiary function, Introverted Sensing (Si), is a conservative function. It involves an attachment to past experiences and past precedent—to the routine, familiar, and predictable. Types with Si in their functional stack, including INTPs, tend to eat a fairly routine or consistent diet, “eating to live” rather than “living to eat.” Si types are not only conservative with regard to their diet, but with respect to the material world in general. They tend to be savers rather than spenders, seeing excessive material consumption as unnecessary, or perhaps even immoral. Like other Si types, INTPs also have a diminished need for novel physical pleasures, lavish surroundings, or material comforts. They are minimalists to the core, relatively unconcerned with their physical surroundings. An often overlooked role of Si is its perception of internal bodily sensations—the body as felt and experienced from within. Perhaps more than any other function, it provides access to the raw and basic sense of “being” that exists apart from thought or outward stimuli. Historically, Eastern philosophical and religious traditions have done a much better job exploring this dimension than those of the West. This feature of Si is brought to the fore during activities requiring close attention to one’s internal bodily state, such as yoga, Tai-Chi, meditation, or various relaxation techniques. INTPs interested in exploring this element of Si may find great delight and benefit from these sorts of practices. They are especially useful in developing the body awareness necessary to relax and control anxiety. Last but not least, Extraverted Feeling (Fe) serves as INTPs’ inferior function. While having inferior feeling doesn’t make INTPs emotionless robots, their feelings do seem to have a mind of their own, often coming and going as they please. Realizing how hard it can be to voluntarily contact or summon their emotions, INTPs tend to feel awkward and uneasy in emotional situations. Although they may be cognitively aware of the appropriate emotional response, if they’re unable to directly tap into their feelings, INTPs can appear clumsy, mechanical, or disingenuous. This can be unsettling to others who are looking for outward signs of authentic emotion from the INTP. Fe is also concerned with maintaining social harmony. While Ti and Ne may inspire INTPs to function as provocateurs, their Fe encourages them to operate as peacemakers. Far more often than INTJs, INTPs will “bite their tongue” in order to avoid hurting or offending others. Doing so also minimizes the likelihood of emotionally-volatile situations which can engender anxiety and disquiet. Another aim of Fe involves establishing emotional rapport and connection with others. But again, while INTPs may do at fair job at reading others’ emotions, they may fail to actually “feel” what the other person is feeling. This is why INTPs are sometimes described as “outwardly warm, but inwardly cold or calculating.” Fe can be a bit of an act in the first place (e.g., political glad-handing), but this seems especially prevalent among INTPs and ISTPs. Although casual social engagement may make them feel good for a while, perhaps even give them an ego boost, without sufficient Ti stimulation, it won’t be long before they’re scoping out the nearest exit. Finally, it’s not unusual for INTPs to go through phases in which they feel they don’t need other people at all. Especially when their work life is running on all cylinders, they can feel invigorated and invincible. But the psyche will only permit this sort of Ti lopsidedness for so long. 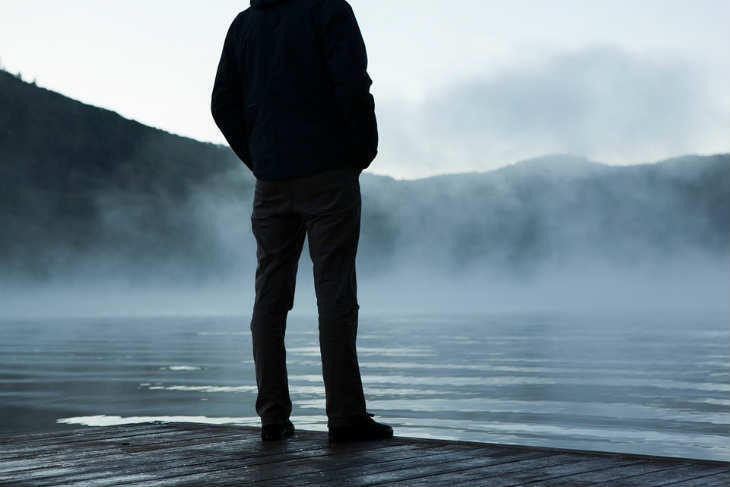 There will always come a time when INTPs start feeling a bit lonely or empty, sensing that something important is missing (i.e., Fe) from their lives. This prompts them to reinitiate contact with others, at least until they feel compelled to reassert their independence. Striking a balance between independence (Ti) and relationships (Fe) can thus constitute a lifelong challenge for this personality type. *Portions of this INTP profile are also likely to resonate with Enneagram Fives (5w4, 5w6). I feel the exact same way. It’s uncanny how much this profile seems to fit me. This article has been very insightful, Thank You. Before finding out about personality types and as a female INTP in her early 20s I have often felt like there was something wrong with me, I can spend a lot of my time internalising various situations and ideas. However the biggest challenge for me since childhood has been when friends and family members as they have struggled to understand my lack of emotional connection, for instance my reactions to them or other peoples opinions. When it comes to creating lasting and valued relationships, I value honestly and transparency if I cannot read a persons intentions it can be very hard for me to want to get to know them, I can very easily disconnect from someone once I understand what they are if they don’t meet my expectations. As a person Independence is something that I value highly and having that compromised in anyway can make me feel like I have lost a significant part of my identity. I can,I am a girl too and its not that easy and like Newton I may also wonder and wish – I was a no brainer and could enjoy life but rather I like my pursuits to be great and living with the societal structure becomes difficult and as I read through the phases I just wish I get out of the phase II safe. yup, I hear you. I feel the same way and about this article too. INTP is so me!! Same. INTP female in her middish 20’s here and I couldn’t agree more. I very rarely even leave comments on things, but I felt like you should know you aren’t as alien as you feel. I’ve been aware of that feeling my entire life, and MBTI has really helped understand so much. The part about not being skeptical as a child due to lack of Ne. And my love and obsession with getting good at maths, complicated puzzles and video games. Then the overbearing consequences of developing Ne (around age 11) and suddenly questioning everything I was so sure of. The part about being a minimalist and being consistent with my diet. And my curiosity for exploring my bodily sensations through meditation to control my anxiety, all of this due to my new Si. Being compelled to frame everything as an internal goal towards which I can take action (particularly social skills). And most hilarious of all: the fact that I get so much happiness from romantic comedies and sappy love songs because of my longing for affection, yet my inability to actually generate any sort of emotional connection with people when I’m around them. Also the part about longing for FJs’ Fe explains the uncontrollable attraction I feel towards those types. But now I wonder “As they cultivate conditions that support their natural strengths, Phase III INTPs come to experience a heightened sense of peace, wholeness, and satisfaction.” , how can I achieve these conditions, because peace, wholeness and satisfaction is all I want from life. And can I accelerate the development of my Fe through social interaction and maybe other things, or does it just take time? I would really love to hear an answer to Julian’s question, although I think that this is a long term process. I can already feel myself more peaceful than 5 years back (I am 25 now). One thing I noticed, is that I used to bounce in very extremes positions: passing from trying a isolated career (programming) to trying to become a sales person. In my opinion, we should not desperate to find the “perfect” way of living. This is a process and every day we are one step closer to reaching a more happy life. It is ok if the job you are at the moment does not fulfill you. It is a lesson taken (Si) and I am pretty sure you also discover something you do like. In my case, I am starting to hate my actual job, but I have learned that it is very important to me to work with a little and close team, like a group of friends. That really helps my Fe to feel happy. I think it takes knowledge. I have pursued truth and beauty since I was old enough to understand how much they meant to me. The more knowledge I acquire the more connections I can make to everything. It is the solace of all these connections which helps. Yet before this resides a knowing relationship with the Creator and Maker of our Universe. Having this relationship thru Jesus, I can truly say that without the spiritual side of a human being fulfilled, all the human efforts we make to define and appreciate truth and beauty, all the efforts we make to define our existence and Universe and make connections for our solace, will never be complete. For it is in our spirits we are first healed and then all our other efforts are given meaning. For me it’s Confidence, Genuine Honesty (to myself and others), And realizing that I’m not perfect, and in fact I’m just as imperfect as anyone else. My Confidence to express myself openly an with confidence comes from allot of great comics that I admire. For me reading up on MBTI types helped a lot to better understand other types’ functional stacks. Then i could reverse mine to “reason” why they did what they did (not like expecting them to do the same will come to fruition anytime in the near future :P). This took pretty long for me, say 2 years, in addition to having no one else to bounce such concepts with to accelerate the process. :| I probably also wanted to be really *sure* of my algorithm before actively venturing into the SF dominant world again, having been hurt badly and totally misinterpreted before. Im currently 23. As you are all pretty much saying, it’s extraordinary how relatable this is. Every single thing I read in this article was spot on, and the things I have yet to experience that INTP’s usually come across, if getting through the second stage mentioned. I’m 16 and I have isolated myself from everyone in my life and I have become quite pessimistic, I feel more mature and aware than my peers and having dealt more hardships than most people do in their childhood I feel like it has made me like an adult in a child’s body that still lacks experience . After reading this I can imagine I’m not the first to feel this way. I have been studying myself and my personality for awhile now and it has helped me feel more at peace with myself, knowing that there isn’t something horribly wrong with me. And having the influence of my ENTP father who shoved me on the path of thinking that is natural to me at an early age, it gives me hope to think I may figure out how to interact and manage myself earlier on than most. No you are not. My father was rocket scientist and I grew up listening to adults and adult conversations. To minds searching for new idea and solutions. I felt the same way at your age. It gets better as you get older and are among folk actually achieving these things instead of just listening to others who are older than you. I’m 17 and feel the exact same way you do in terms of feeling more mature than peers and feeling like an adult trapped in a kid’s body. Ever since I hit junior high school I’ve found it hard to make connections with my peers because of this. I do believe it will get better, though. At least there are others who have had/are having the same experience we’re going through. I consistently type as INTP and this profile is pretty much spot-on for me. The BIG question I have (and makes me wonder about the accuracy of typing as INTP) is that most OTHER profiles of this type paint a picture of someone whose Ti function drives them to be “brutally honest” with others in defense of logic and what they perceive to be truth — even at the cost of social/interpersonal harmony and relational integrity. However, this has NEVER been the case for me — in fact, I may be EXCESSIVELY concerned with avoiding conflict and/or stating my beliefs (if contrary to others), and come across as very friendly with family and co-workers. AJ’s description of how the (inferior) Fe function — how it seeks to maintain harmony and avoids expressive judgement — would coincide with my experience. But he also states that being the inferior function, it is less conscious and has a life of it’s own (showing up as all or nothing). In my experience, Fe is ALWAYS on, keeping me in check (socially) and seeking harmonious relationships. Just curious if any other INTP’s experience Fe in “always-on” mode? Or if that’s atypical for the type, with your default mode being focused on “truth” — even if doing so come across as being critical or insensitive? I had the same reaction as you – your description of Fe is much closer to my experience. Thanks Jack — appreciate your input/response. 1. Maturity of type-development (48 yrs old) so would make some sense that Fe is a more “present” function — although I’d still stay it’s been that way a LONG time (definitely from my early 20’s on). 2. Long-time spiritual faith with life-long habits of prayer, meditation, and service — so maybe my “contextual” behavior style is more attuned (and sensitive) to the Fe function. 3. Possible mis-type as INTP — and other developmental factors have influenced my thinking/behavioral style to such a degree that I “test” with Ti as a dominant preference (but in reality Fe is either dominant or auxiliary). Only one time have I ever tested as other than INTP — with that being as INFP (answered Q’s more as what would I “prefer” to do, rather than “what” I tend to do). Problem with INFP is that it’s an Fi preference, instead of Fe (which seems to characterize the behavior). I think Fe may be a more of a guiding for the self-moderation tendency; I think the actual process of self-moderation is learned. How many people do you know enjoy hearing you think aloud? In general, most of us learn early that most people don’t care to know what we think: even when asked to present what we know, we realize they’re only asking for a degree, or portion, of what we do think. Fe could then be seen as a probe to gauge to what degree the information should be provided. Just like you, I tested consistently as an INTP (from several tests). In the majority of the INTP traits descriptions I always found that my personal experience contradicted the ‘Brutally honest’ trait you mention. AJ’s description of Fe role is much more in agreement with my life experiences. Good to see Edward Snowden typed accurately. 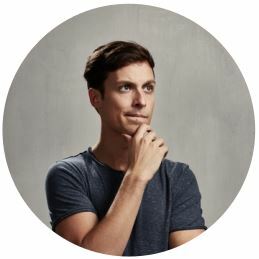 He fits the technical expert intp subtype perfectly. I’ve heard loads of intj typings for him. I disagree. Because he doesn’t show any real interest in the intrapsychic, it can decieve. But it that seems more the difference between an Enneagram type 5w4 and 5w6. He doesn’t show and Se in his dress and reminds of Bill Gates in his presentation. Incredibly accurate though I may disagree on the avoidance of eye contact which I have no problem with being an older 60+ INTP. Still working on developing the weak feeling function and prone to infatuation with feeling types, especially INFP. Feeling does have a will of its own and cannot be dealt with logically. In a world overrun with S types (75%) I believe it’s a tough life for us as I/we see much of it differently than the herd and we are thus unheard though brutally correct in deciphering the insanity of it all — systems like central banking, the root of slavery in the modern age and yet not discussed in the pathetic, controlled mainstream edu-indoctrinational/controlled media edifice. Though we may have problems with feeling and fitting in our detachment makes us superior at uncovering the bs that is this world. 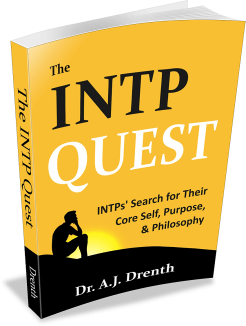 Hang in there fellow INTP and keep up your quest for discovering and dispensing truth. It’s incredibly liberating to read this. In fact I refuse to live my life without this page as a constant reminder this new insight into myself, so I have it bookmarked on my cellphone :) 98% of this rings true for me. I cannot commit to 100% because I know that wouldn’t be absolutely accurate and I constantly strive to be that. And to be honest. But also to be gentle with others’ feelings (which I see as a common theme in several comments). I haven’t known my type for very long, only since post-graduate school where we had to take the test as part of a required class. Every person should be so lucky. I’ve always heard that I’m mature and an old soul, etc. which to me just meant that I didn’t fit in with anyone my age, but because of my age I didn’t fit in with others either. People still think 25 is too young and rash and prone to making bad decisions but I am really interested in constructing a happy life for myself. It’s weird – when people ask me about my biggest life goal that’s always my answer. Happiness. Is that normal or just my inferior Fe being a nuisance? On the subject of being self-disciplined and goal-oriented I’ve learned a few things. The job itself matters less than being able to do it on my own terms. I’m currently in marketing. The particular details of my company and position matter only in that I don’t love them. But I’m given various projects that I constantly have to figure out, and I am left to work independently (not being micromanaged by anyone), and I have flexible hours (because for whatever reason I am ALWAYS late). The people that I work with are amazing. Being an INTP I originally thought that this wouldn’t make a difference, but I now know that if they weren’t good people – if I didn’t genuinely trust them and want to help make their lives easier and collaborate with them, etc – I wouldn’t have lasted very long. At this moment I’ve been in my role for a year and a few months. I’m still figuring out everything about my life. Just got into a relationship with a maybe-ISTP, reassessing my career and personal life decisions…it’s a roller-coaster, but I do this pretty regularly. It’s imperative to adapt and make conscious choices to change, not let the world and circumstances change you, no matter what your type is. Does the fact that I have great disdain for most of the people listed as famous examples of my type mean that I am likely to be mistyped? Beautiful. Thank you everybody. So very insightful. Georgia, you are not alone there at all. I’m not a female and only about 60% on the introverted end of the spectrum (mainly because I have trained myself to act the part of an extrovert for work). I don’t know a single person that truly recognizes me for my intelligence. It seems like the more ignorant a person is the dumber they perceive me to be. But on the other side of the coin, most intellectuals live in a box that measures intelligence by the ability to memorize information rather than the ability to gather new information. Stereotypes are a strong factor as well, I am an attractive and active guy who doesn’t fit the smart and nerdy stereotype and so people tend to pre-judge me as a dumb jock or something. If I remain quiet (like I tend to do) they just keep that judgment, but if we do end up getting into an actual conversation (something with a little more substance than the typical worker-drone speak at least) most people will change that tune. As a whole, I think we have a huge barrier in conveying our ideas in layman’s terms as INTPs. We think in a multi-faceted way where others think in a linear way…a lot of what I share with people has double meaning that completely eludes them, it seems that there is an ever-present tendency in humans to compartmentalize the information they receive to fit into their own biased way of viewing the world. INTPs do it too, but we are also open to another interpretation if it is given, and that truly is what sets us apart from the herd. Dr. AJ describes the INTP as one who is “reserved” about one’s opinions whereas Te types are more direct about them. Perhaps this is true in most cases; certainly the ETJ types I know are usually more straightforward. But I’ve found this to be a bit different in my own experience. GRANTED when in an UN-familiar situation I am almost exactly as AJ describes the INTP in social persona: detached and laid back and often not even getting involved in conversations (unless, in the unlikely event, there are people around who are having a discussion of some actual import). But the people that know me best would certainly say that I am THE MOST opinionated person they know—and the most “offensive” as well. Contrast this to, e.g., my ISTJ dad who, while he is very frank and explicit about things that piss him off when hashing something out with myself or his friends, is actually quite diplomatic and non-confrontational when it comes to concrete conflicts; e.g., he’ll tell me “I wanted to [or ought to] tell so-and-so X”—whereas he won’t actually do it and will resolve the situation without burning any bridges. I, however, WILL tell so-and-so X, if I’m fumed enough about it, and don’t give a damn what earth I scorch in my path. Now, my theory is that this can be chalked up to the fact that the tertiary Fi of ITJ’s gives them restraint when it comes to interpersonal issues, whilst my own inferior Fe—precisely because it is extroverted and inferior—simply flies off the handle, sometimes even INVITING confrontation. This is the one discrepancy I’ve noticed with the description and my own experience. I need some help. I am very analytical, love exploring ideas and looking for patterns in data. But I’m also very nice. I get called “sunshine” from people constantly because I’m nice. Which leads me to believe I am an INFJ. The problem is that I am more interested in truth than morals. I believe morals emerge from truth; that morality is impossible without truth. Of course this is a problem since INFJ’s care very much about morals. Can someone help me with this? If you could email me on aaron_hepi@hotmail.com I will be very grateful. I can’t believe how accurate this and the INTP page on the 16 personalities website are. The only part that didn’t describe me exactly was the part about forgoing service early in life, but I think that’s mainly because when asked if I want to do service I’m too shy to say no. 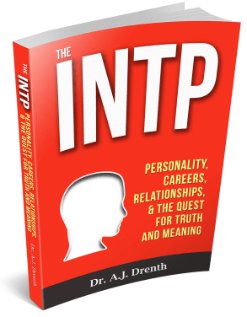 Loved the INTP ebook… spot on! The accuracy of Chapter 5: Political, Religious, and Philosophical Propensities was positively spooky. I’ve found my INTP restlessness has served me well over the years and I have indeed experimented with many and various things, lived in a commune, lived in a van AND travelled extensively both alone and with my ISTJ husband (married 20 years… ha!) and lived to tell the tale. Keep up the good work! This is SO ACCURATE. The better part of my 20’s was spent in agonizing over the question of what I wanted to *do* with my life. And even now, at 33, I feel that I am only beginning to scratch the surface of that question. The reality is I don’t want to *do* anything at all; at least not in the sense of what is called “productive.” All I truly “want out of life” (as they say) is to be able to pursue my intellectual interests, 90% of which the “doing” is the simple act (or rather the art) of reading and studying. Thank you for your contributions, Dr Drenth. Helping people understand themselves better is a wonderful gift to humanity. I think a common thread among INTP’s is that we want our insightful observations and connections to have a positive impact, but sometimes struggle with the esoteric nature of our thoughts (and sometimes erudite nature of our communication style). 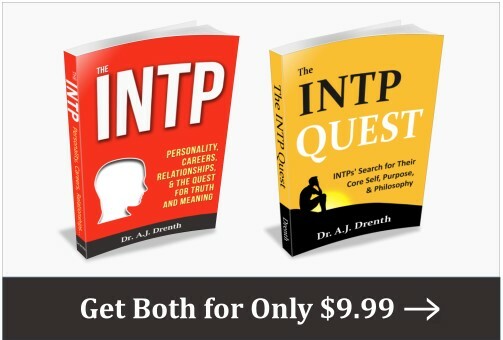 I am looking forward to buying and reading your INTP book! Exactly me. To the T!! It freakishly explained almost everything I have felt and experienced over the last few years which I have just been trying to make sense of by going to various levels of philosophy and theories. Wow! I think somewhere now, I don’t feel that the way I was acting is totally mad. I must say, my five years younger self was NOT prepared for these kind of changes and growth!! Everything I read about INTP’s is so perfectly me.Iv had couple connections in my life with people I felt truly understood me but none of them have been a romantic connection.I can’t seem to hear people out if what there saying has no factual basis.It just becomes none sense to me and a waste of my time.I also struggle with wondering honestly if everyone Im around is stupid or something.I long to know someone who could except me and challenge me for a change.I hope there out there and can put up with me. Wait, Hegel’s listed as a possibility, and not Feuerbach, whose genealogical method which critiqued Hegel’s speculative dialectical method (also appropriated against the historical Christian attempt to reconcile faith and reason), isn’t? Have the practitioners here looked into Feuerbach and Schopenhauer regarding the use of Ti-Ne-Si, and decided upon rejecting their admittance, or is he just slightly too obscure to list or consider? 1) how does MBTI mix with commonly accepted personality disorders?I know that DSM disorders are generally defined as “if subject displays x out of y symptoms…”. Would you suppose that there is direct correlation between certain personality types and certain disorders? (consider not ony narcissism, but ADD, ASD, anxiety, depression) Also: why are “narcissistic tendencies” a trait, and is narcissism a disorder? 2) what’s the difference between not being able to summon/contact emotions and not having them? From personal experience listening to emotional people for sake of listening is like a fish out of water. Expressing positive emotions feels unnatural, awkward and calls for an analysis. Being in a “Personal” relationships as a woman prior to understanding personality type was intense as volcanic irruption or explosion similar to opening a hot pressure cooker prior to cooling off. To know thyself is the starting point to a peaceful inner relationship and joyful outer relationships. My husband tells me just BE then DO and you will discover much, much more then you would ever imagine in the galaxies of your cosmic mind. la verdad no quiero ser cruel pero que esdpeituces escribes chaval de vras ponte a hacer otra cosa.ah! y si vas a escribir chistes haslo en una libreta y no los pongas a la vista de la gente porque le puedes arruinar su placentero viaje por la red!!! As you know, INTJs are viewed by virtually all writers on type as the most independent of the 16 types. If you have not fleshed out why you disagree with this, I would love to read this. If you have, where can I find this? Any other INTP feel like they are watching life like a movie? A spectator instead of a participant? Going along watching and observing without really being connected? Is it weird that we all seem to be really interested in psychology and what makes people tick but at the same time we don’t (me at least) feel overly strong emotional connections with people? Its almost like we look at everyone as an experiment to be worked out. There are people im really close to, but then even them i could go a long time without talking to but i do care about then a lot. I also always feel like the bad guy as it seems like i dont make a lot of effort with people at least not as much as those that seem to never stop talking and meeting up. I would say though ive been able to form a lot more authentic relationships as ive entered into phase 2, im 32 now and im not as apologetic as i once was for being myself, which has led to a less constrained energy around people. In THE ART OF WAR, Sun Tzu speaks of “hiding order beneath the cloak of disorder.” Is that not the perfect paradigm of the INTP’s nature and modus operandi?